A site-specific art installation that was part of a one-day art event curated by A SHIP IN THE WOODS in partnership with Cabrillo National Monument Conservancy on Saturday, Nov. 14, 2015. 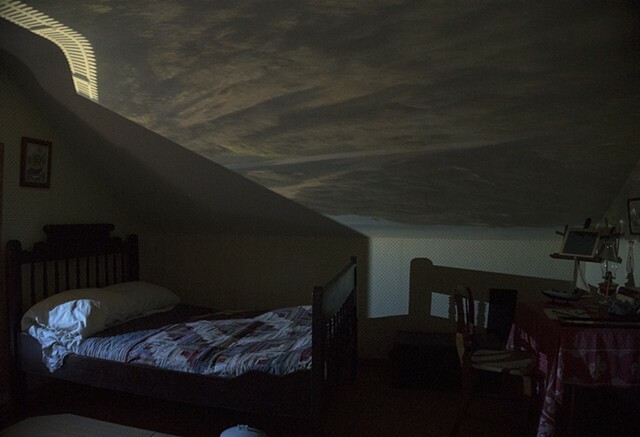 I turned two bedrooms of the historic lighthouse on the park grounds into a camera obscura, allowing the viewer to experience being inside the camera, while bringing the Pacific Ocean into the room. The title references the keeper of the lighthouse, Robert Israel. The project was to interpret the convergences and fragmentations of land and water, as well as the habitats and people that are part of the rich ecosystem of the Point Loma peninsula.